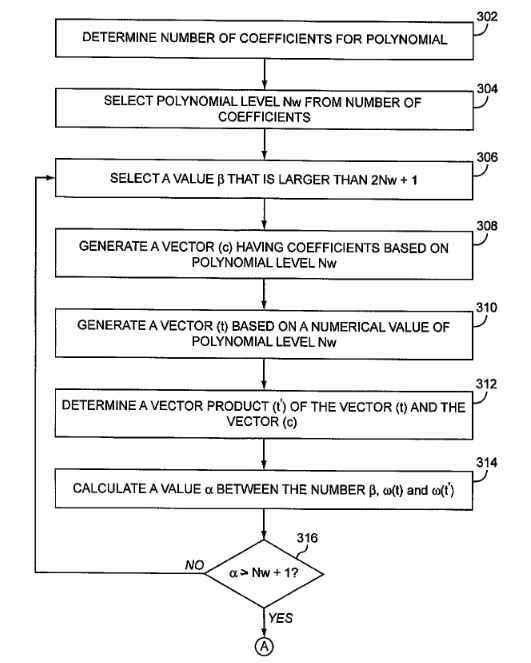 I would like to ask about this encryption method that I found: USPTO patent and it is related to this question here: A service that claims beyond army level encryption and Unseen.is encryption claims revisited with their proprietary, patented “xAES” algorithm. Didn't see any updates on this matter for a long time, so after I had found the patent had appeared online, wanted to ask you experts what do you think about this? Have we found an quantum computing resistant encryption method for the future generations? Thank you in advance. While the example above uses the simple Caesar cipher in association with a key for encryption, more complex encryption algorithms such as NTRU, Advanced Encryption Standard (AES), and extended Advanced Encryption Standard (xAES), also use a key as mentioned above in order to encrypt and decrypt data. It should be noted that the encryption algorithm 106 may use any one of these encryption algorithms in accordance with an embodiment of the present invention. The keys associated with these encryption algorithms are significantly more complex than the Caesar cipher and have considerably more characters. Nonetheless, these advanced encryption algorithms use the same principles as the Caesar cipher during encryption and decryption processes. More specifically, each of these encryption algorithms processes data using the encryption algorithm and a key during encryption and decryption. However, the key used with these encryption algorithms have a finite number of bytes. In many instances, these encryption algorithms use a key having 256 bytes, or 32 characters, that are generated using a random number generator. Based on this finite number of keys, unauthorized third parties may correctly guess the key and then, in conjunction with the encryption algorithm, decrypt the encrypted content. In other words, unauthorized third parties may use the key with the encryption algorithms noted above to decrypt encrypted data. An encryption patent is a contradiction in terms these days. Nobody (in the large) is going to spend the effort to evaluate a patented method. At best, you would read the patent filing and determine that it's a cheesy version of something that exists and expose yourself to triple damages because you read a patent that should have been rejected based on an immense amount of prior art that should have been discovered, but wasn't because the filing is basically dishonest about this. Often In an example where the key has 256 bytes, the algorithm will iteratively guess keys that have 256 bytes. At some point, the algorithm will guess the correct key and the unauthorized third party may access the encrypted data using the correct key. That's a feature, not a bug - of course one of the 2^256 keys has to decrypt the data! Embodiments of the present invention expand the size of a key that is used with an encryption algorithm to any size extending to infinity that may be used with numerous types of encryption algorithms. The security of encryption depends on the size of the secret, not the key. When the key is randomly generated and stored, they're the same. When the key is derived from a password, the secret is much smaller (so slow PBKDF and other measures are used to improve security). Since the algorithm should be assumed known to the attacker, the maximum security of the described key would be equivalent to the size of x. The polynomial's coefficients can be seen as a tweak t.
In other words, at best, this invention is appears to be a convoluted form of LRW mode encryption. At worst, the key derivation algorithm employed could reduce the cipher's security. It definitely isn't a security improvement over known and common encryption modes such as GCM. Not the answer you're looking for? Browse other questions tagged encryption aes multi-factor quantum-computing post-quantum or ask your own question. Would this kind of encryption be good at anything? How to implement authenticated encryption using pycrypto or a python library? Can encryption twice with two keys in different sequences lead to the same result? The NSA circumvents encryption and how would I protect myself from these type of attacks?